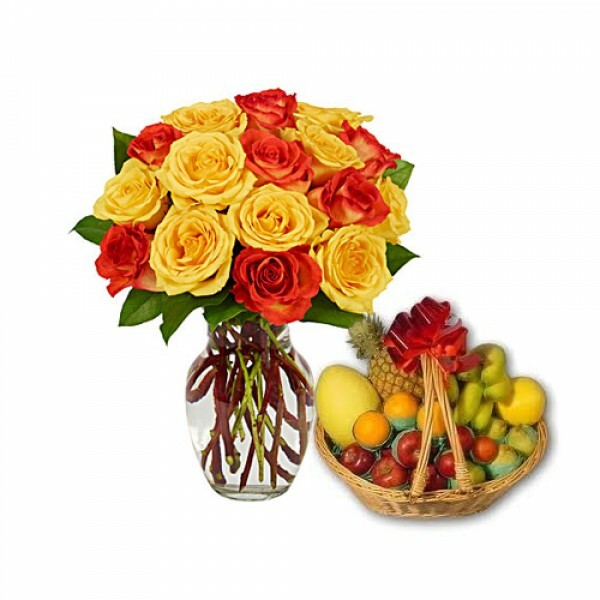 Basket of Exotic Fruits is an arrangement of two stems of Glads with five stems of Gerberas and two kgs of mixed fruits in that basket. 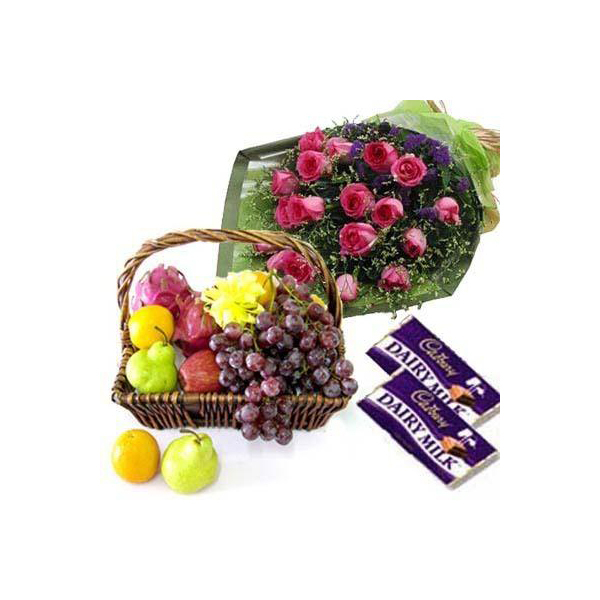 It is perfect to celebrate and send as a gift for any occasion. 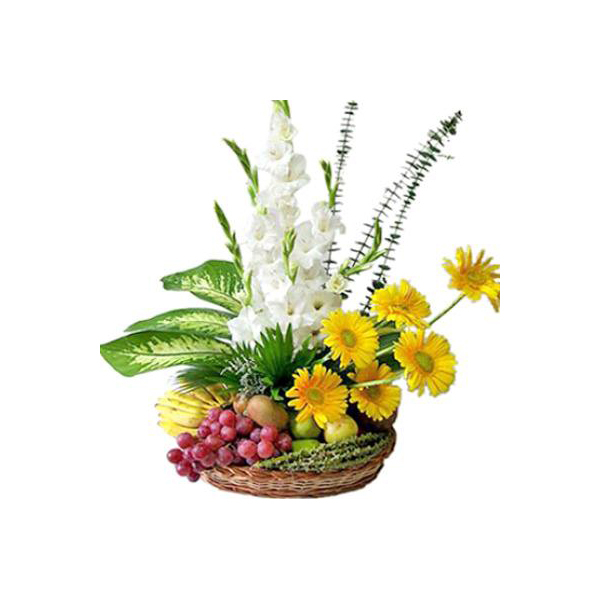 Anytime an occasion or festival comes, brainstorming starts as to what to gift to your loved one. People look for the best gifts for their loved ones. 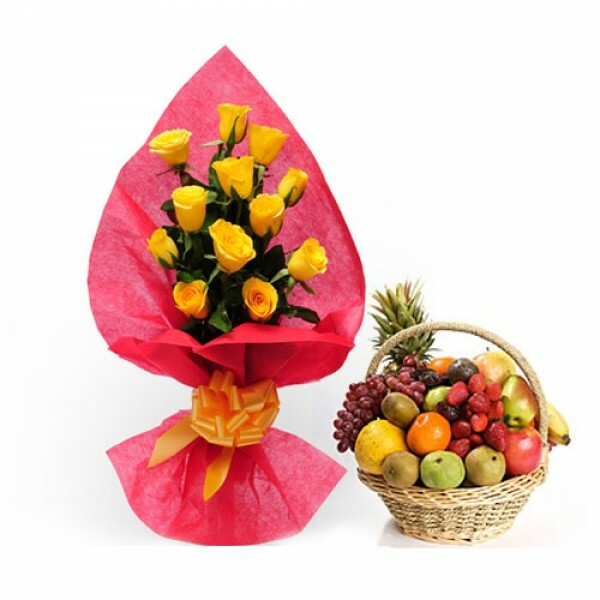 Flowers are the best gifts for anyone for any occasion. 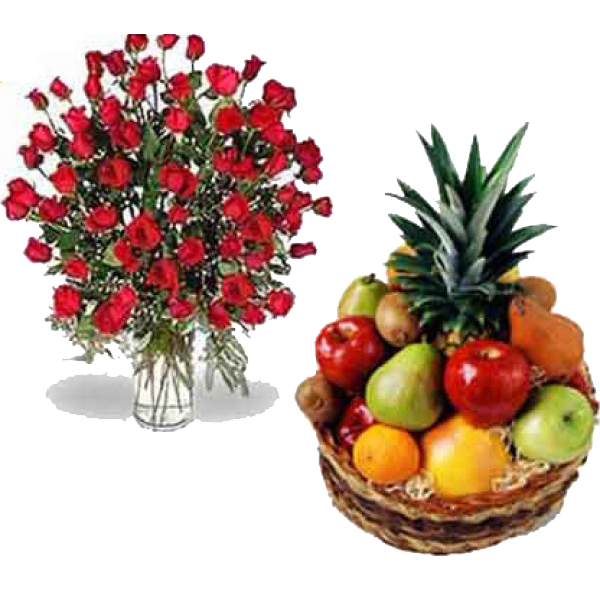 This is a fact that mostly people tend to gift flowers as they add so much value that any other thing can probably not add. 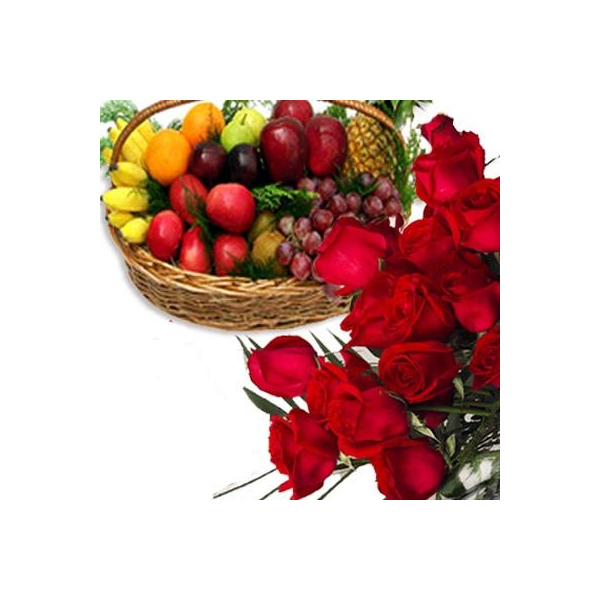 Fruits when added to it, adds health and hence care. 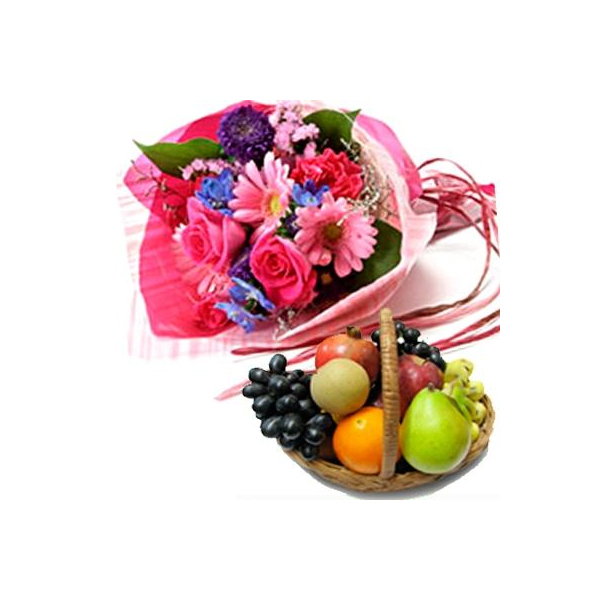 This is a perfect gift for your loved one. Order now.